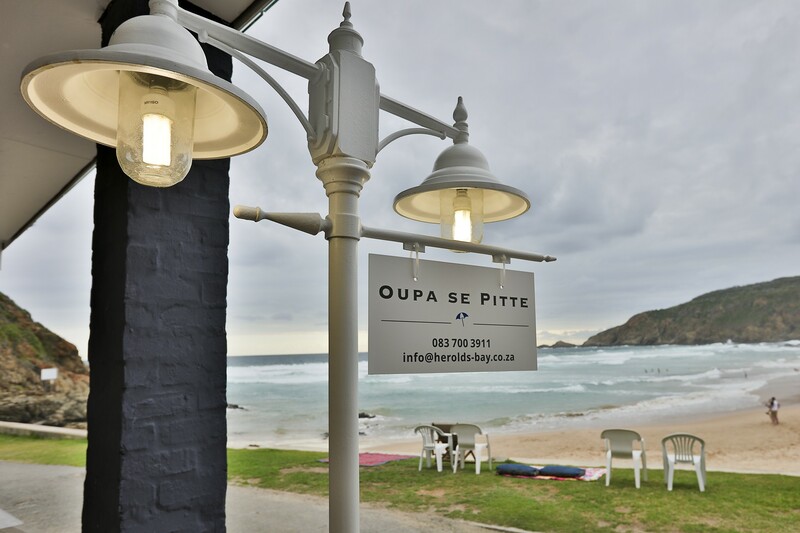 Oupa se Pitte is a holiday house divided into 2 self-catering units. 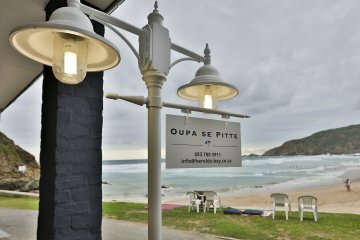 Aptly named "Oupa se Pitte" since our grandfather bought this house many years when it was an annex of the original Herolds Bay Hotel and we are blessed that the 4th generation still has the privilege of this holiday home. He was also fondly called Pitte, which in Afrikaans translates to money. 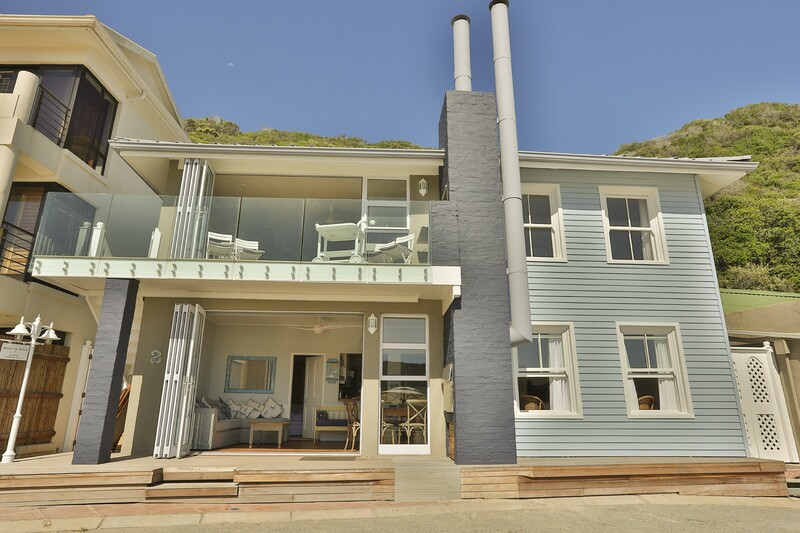 It is the 3rd house from the rocks and offers magnificent sea views and direct access to the beach. 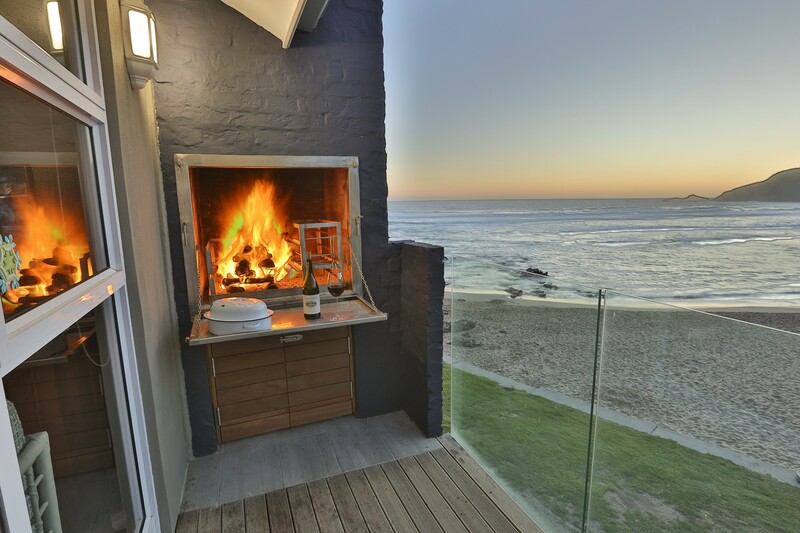 Both units have sea facing balconies with build-in braais, are comfortable decorated yet modern and best of all, the house is ON the beach. Both units are very popular but the layouts differ. 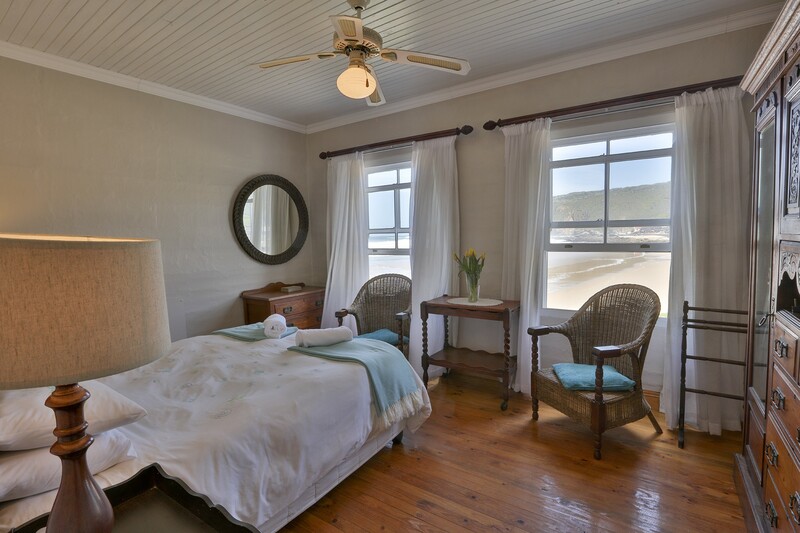 The 6-sleeper, ground-floor unit offers a beautiful, sea-facing bedroom that is furnished with a queen size bed, and 2 bedrooms with 2 single beds each. 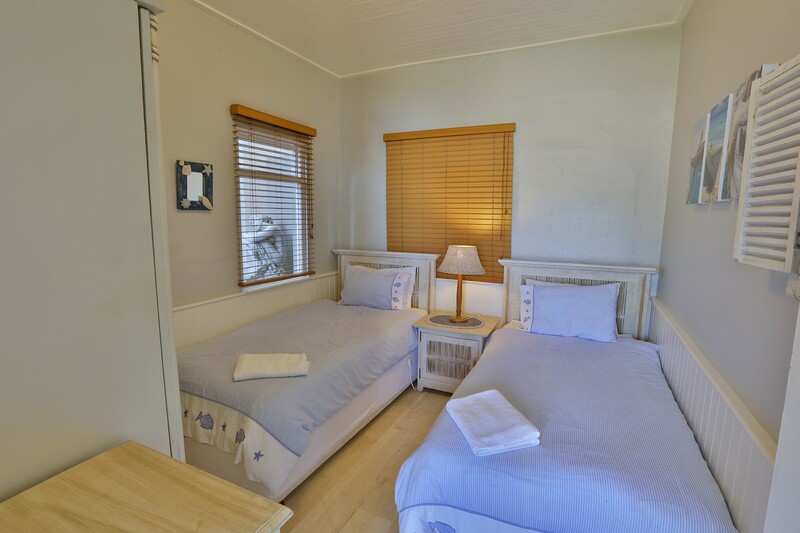 There are 2 bathrooms: a 1 full bathroom that is fitted with a bath, shower, basin, and toilet inside the unit and a 2nd outside bathroom with a shower, toilet and basin. Bedding and bath towels are supplied. The open-plan living area comprises of a lounge and dining area with fabulous stacking doors. The kitchen is equipped will all the necessary kitchen utensils as well as a 4-plate induction hob, oven, microwave, dishwasher and fridge-freezer combination. The lounge offers a TV with the full DSTV bouquet. 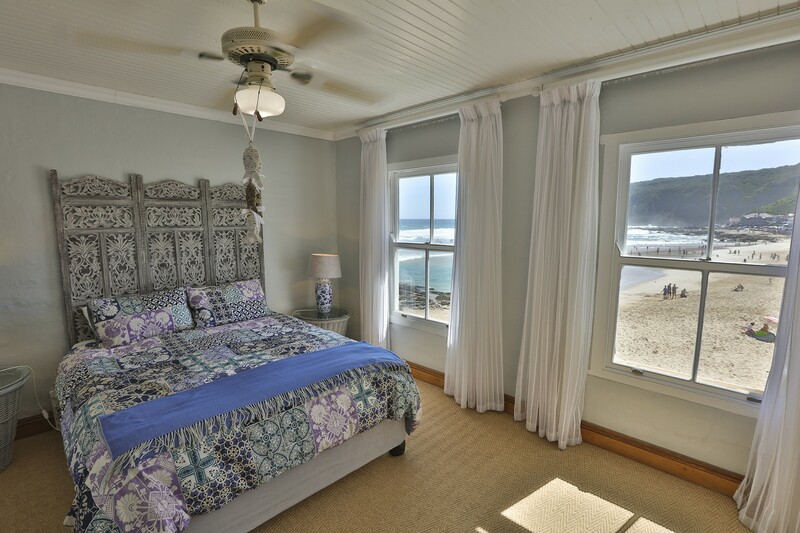 The 8-sleeper, first-floor unit offers a beautiful, sea-facing bedroom that is furnished with a queen size bed. The unit offers a bathroom with bath, basin and toilet. 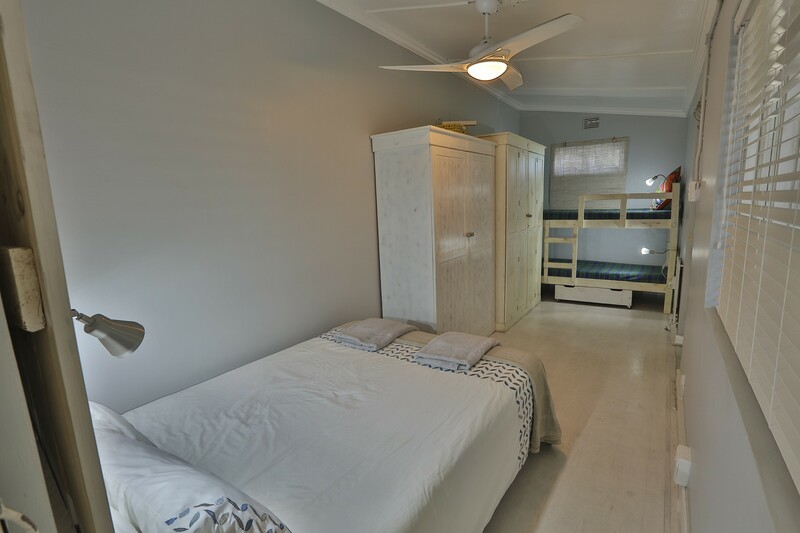 The family bedroom with a double bed and a bunk bed set, has a separate entrance at the back and has an en-suite shower, toilet and basin. 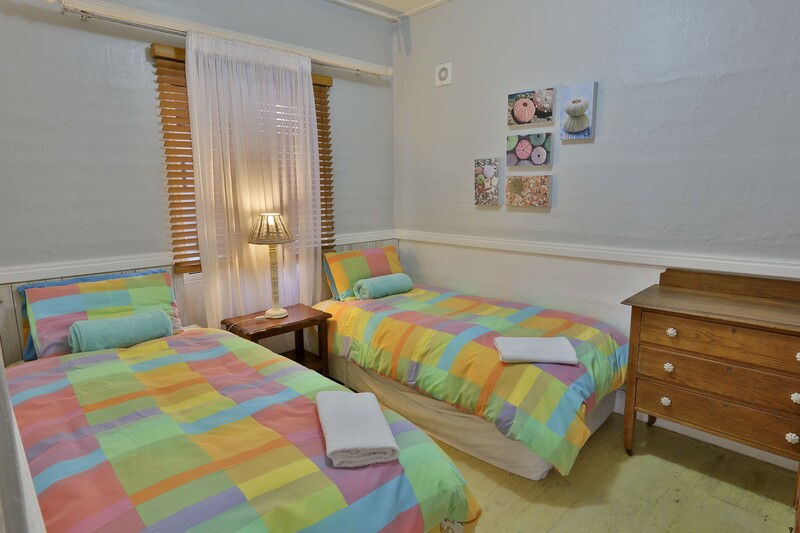 There is also a bed for 2 kids in the living area. 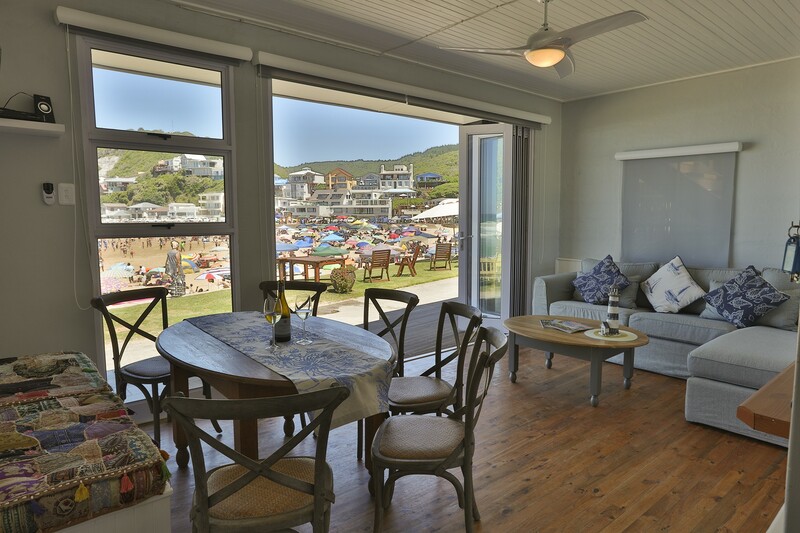 This unit is ideal for 2 couples with kids (maximum 4). Bedding and bath towels are supplied. 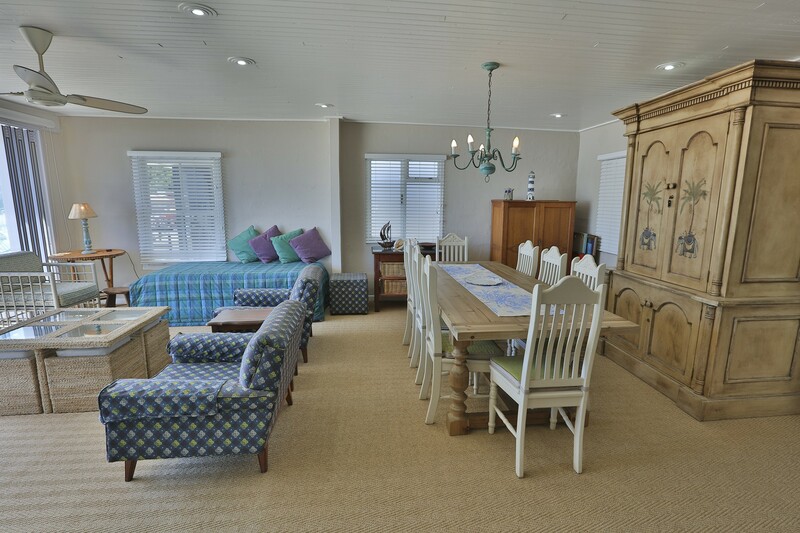 The open-plan living area, which leads out onto a balcony with stacking doors, comprises a lounge with a TV that has the full DSTV bouquet and a dining area. 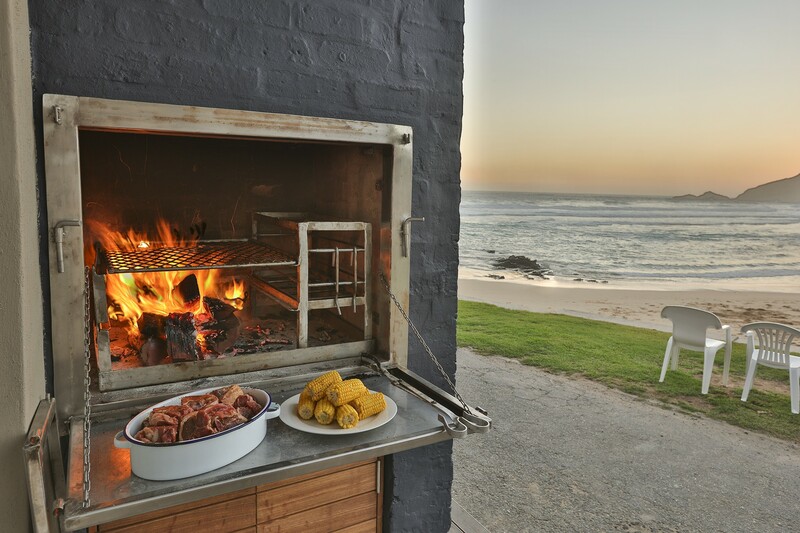 The kitchen is equipped will all the necessary kitchen utensils as well as a 4-plate hob, oven, microwave, dishwasher and fridge-freezer combination. 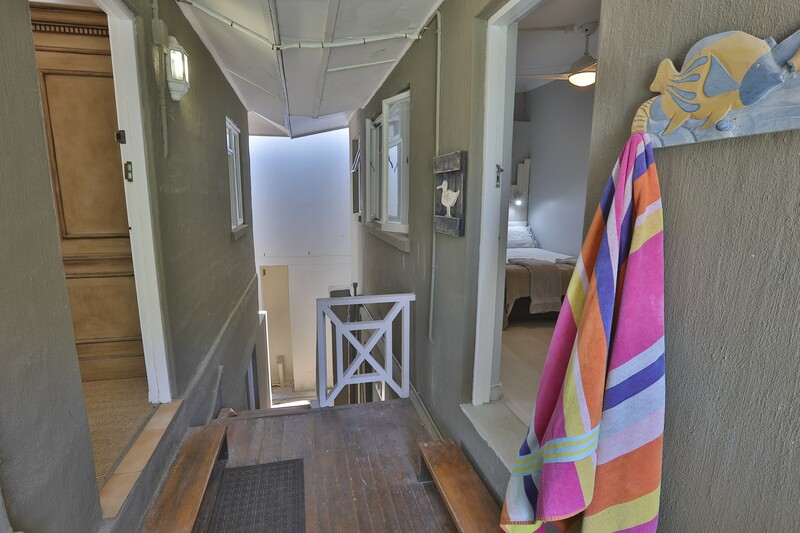 The units share a back yard where the laundry is with a washing machine, tumble dryer and additional freezer as well as an outside shower to wash off the sea water and sand. 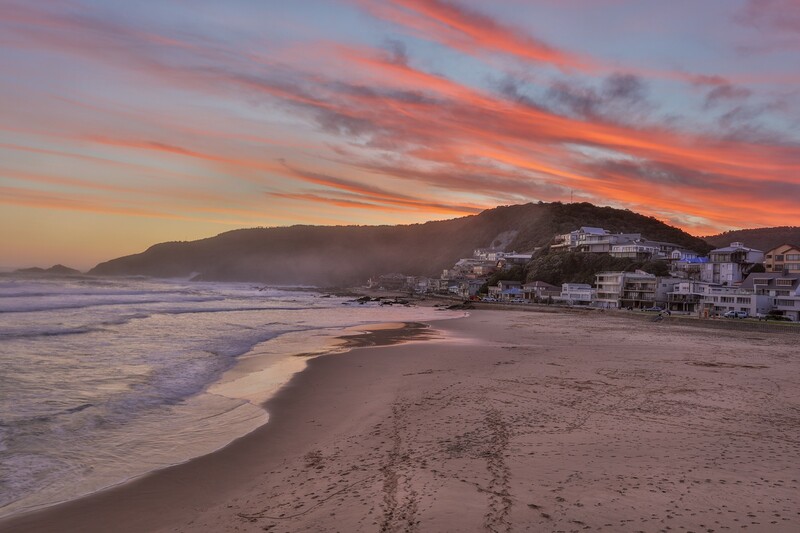 Herolds Bay is in the heart of the magnificent Garden Route, with its natural beauty of sand, sea, sun, rivers, mountains, lakes, caves and forests. 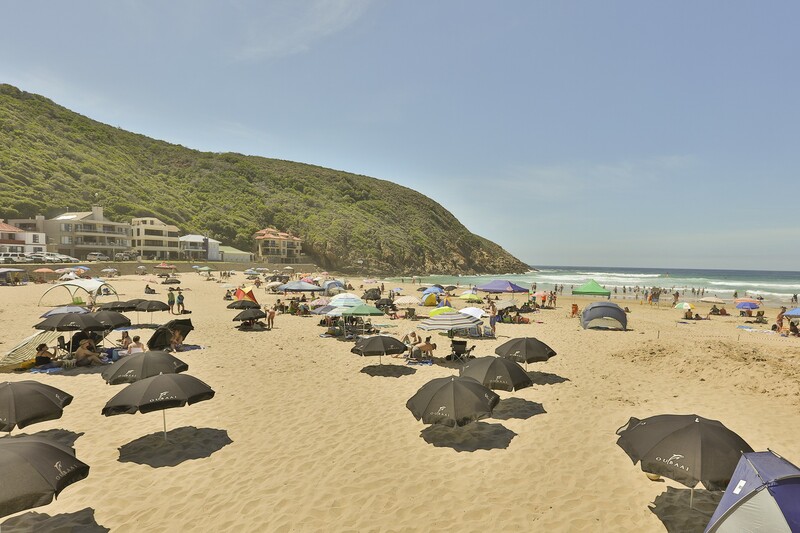 The beautiful, picture-perfect and sheltered beach cove has held an allure for holiday makers. Sketches and photographs in the George museum tell of ox wagons filled with tents, goods, and servants, camping out on the beach itself. Today it is a popular destination for holiday makers and celebrities alike. 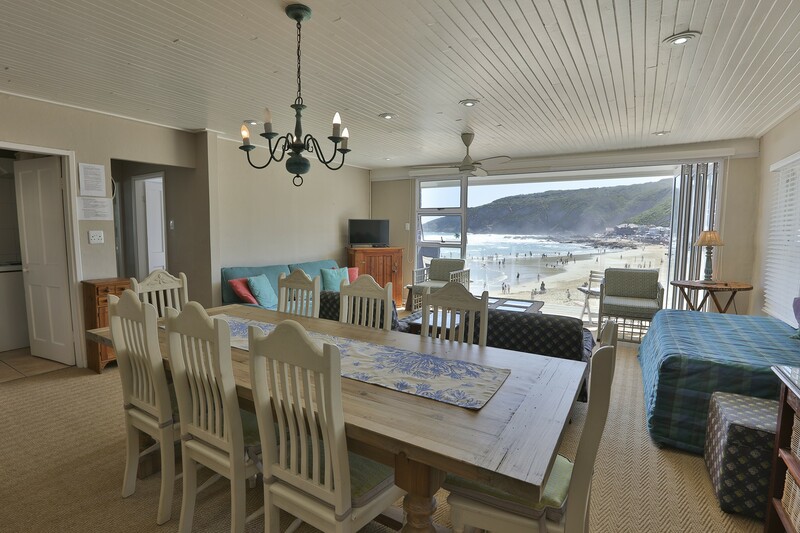 This small and picturesque village has managed to keep its exclusive village appeal due to limited development area being available on the beachfront.